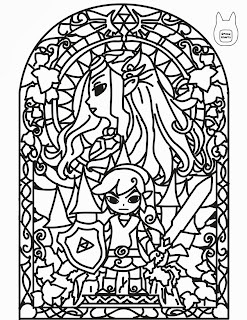 First, you will need to print out the stained glass template above. Make sure your page size is set to borderless 8.5x11. 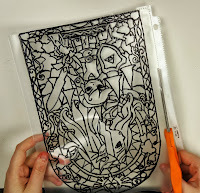 Place the template inside of the page protector and begin tracing the entire template with a black permanent marker. 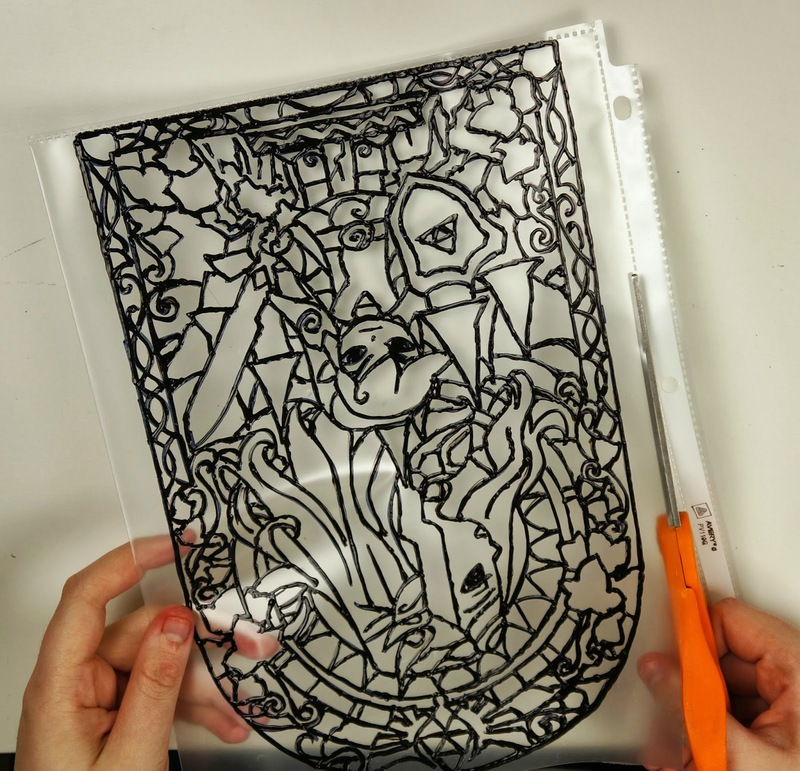 Once you have the entire outline traced onto your page protector, remove the template from the inside. Now begin to go over all of the lines with black fabric paint. When you have the entire thing outlined with fabric paint, let it dry. Mine took about 4 hours but make sure you check on the back of your fabric paint bottle for an estimated drying time. Once the fabric paint has completely dried, separate the front and back of the page protector. 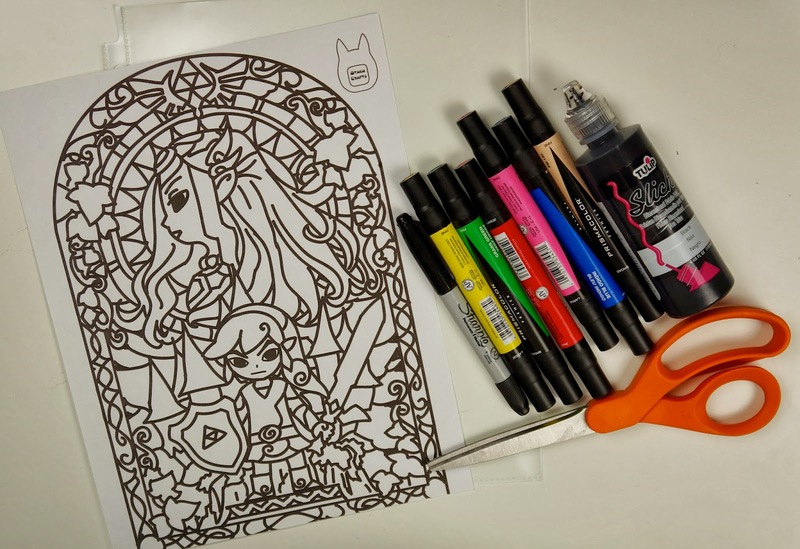 You can use the other page to make another stained glass page! 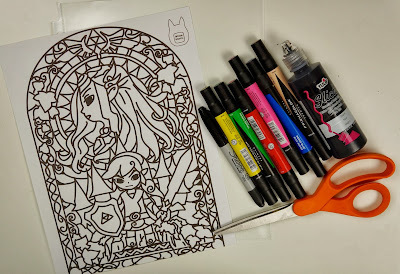 Now it's time to colour! 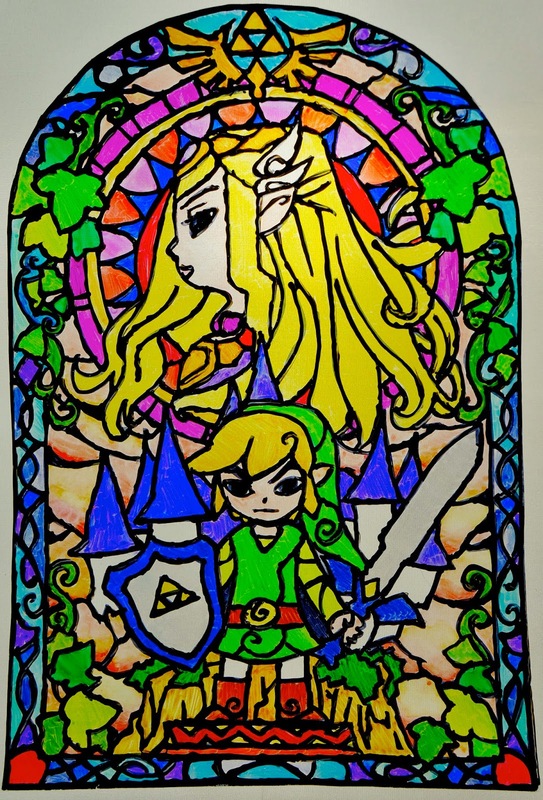 Flip the stained glass page so that you're colouring on the opposite side that the fabric paint is on. 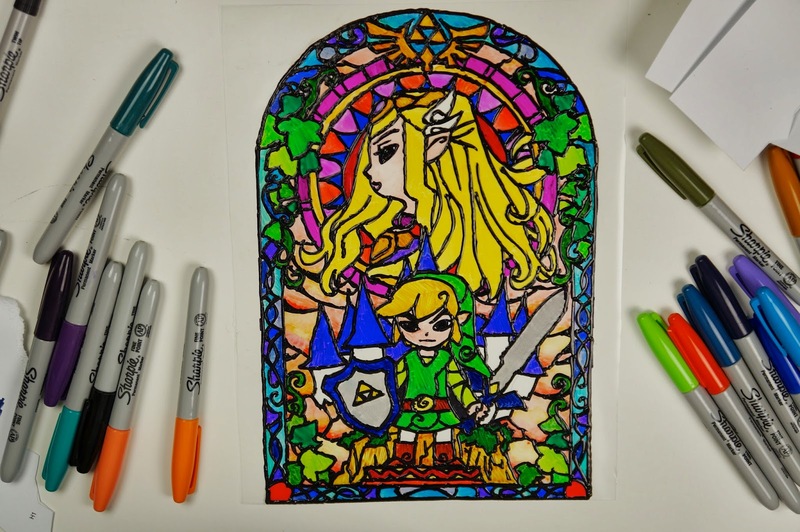 Once you've finished colouring your stained glass, trim the excess sheet protector. 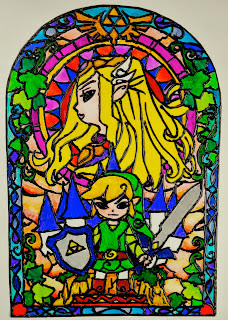 There you have your very own stained glass! 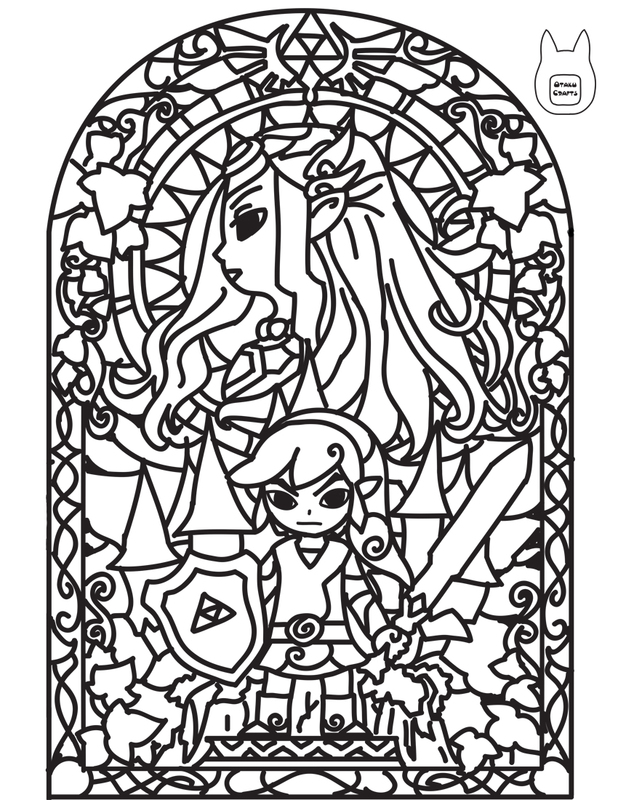 Now you can attach it to your window however you like! Well I'm glad you came along our post! Have fun making it! 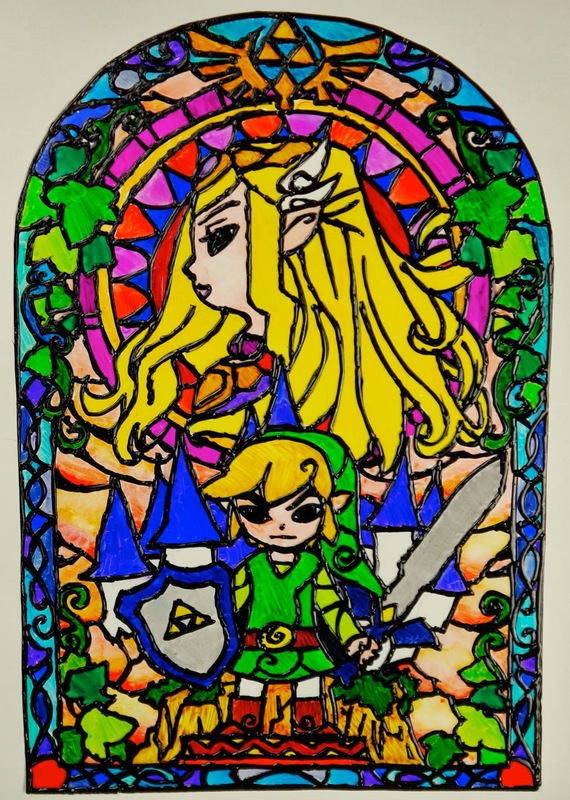 How would you recommend hanging this on your window? You could just use some double sided tap around the edges, you can be pretty discreet with it so you won't notice it when you look at it. So I tried out this project but the coloring came out blotchy looking when I went to hang it up. Do you have any recommendations on how to get a more solid color look? What kinds of markers were you using? 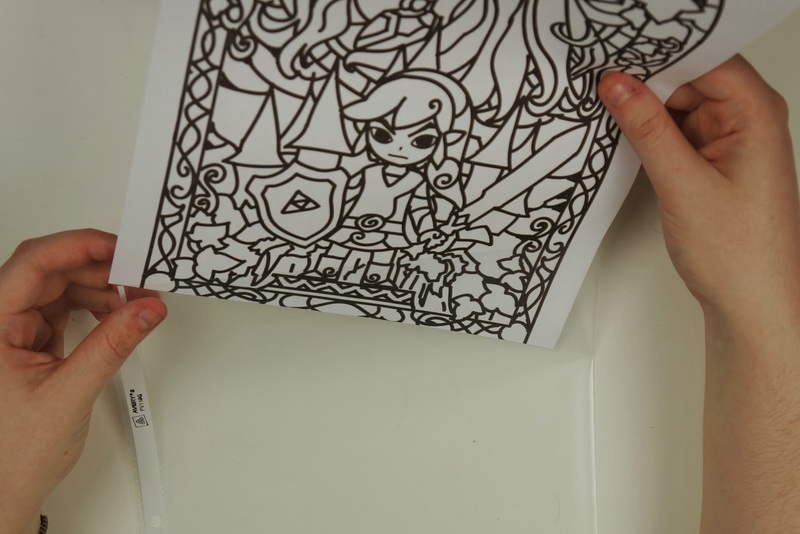 If you can't fix the blotchiness you could always try colouring on the backside so that there is more pigment. That might counteract the blotchiness and at least make it less noticeable. So one thing that occurred to me --- the fabric paint adds texture and makes the lines stand out, which is great (and a brilliant idea, by the way), BUT....wouldn't that maybe make it a bit more difficult to color on the back side? 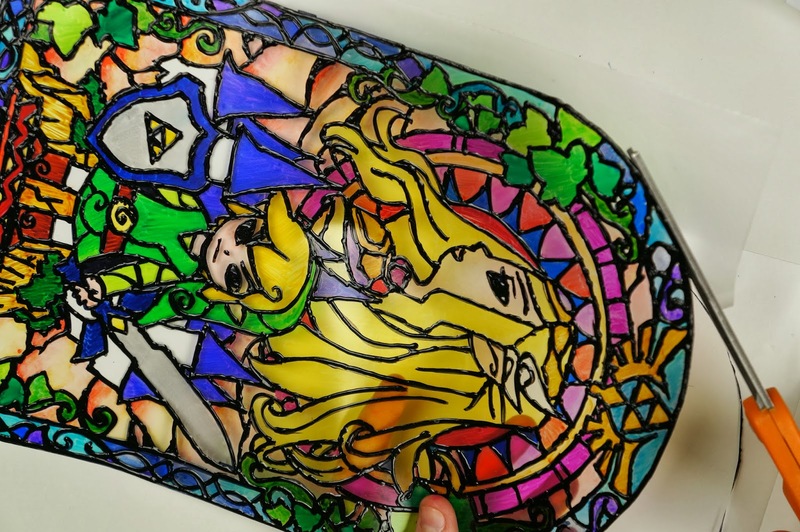 Might it be a better idea to color on the back side immediately following laying down the lines in Black Sharpie, since you can see the lines perfectly anyways, and that way you're coloring on a perfectly flat surface?